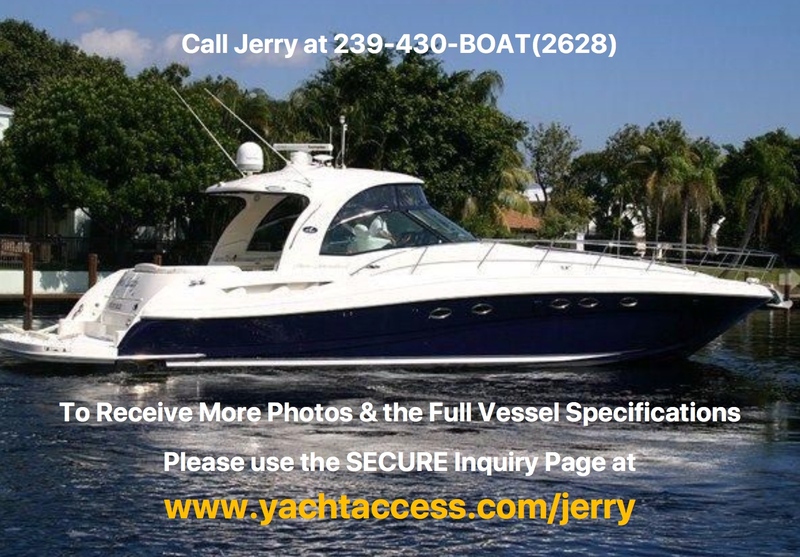 This low hour Sea Ray 500 Sundancer is loaded up nice with a nice electronics package; hydraulic swim platform, bow thruster and lots more! The contoured lines and dramatic styling reveal a refined and powerful presence that will take your breath away. New graceful lines and a distinctive bow provide improved function with enhanced visibility. Beneath her appealing style are the technological advancements and conveniences you've come to expect from Sea Ray. Recently serviced and bottom painted.